I coach clients who are looking to shift to a more positive mindset. I help empower my clients release emotional blocks so that they are able move toward their goals. 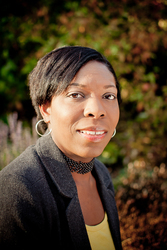 Andrea Lavallee is an Empowerment Coach and the founder and creator of The Empowerment Coaching Group. Andrea is a NLP Certified Practitioner, Reiki Level 1 and 2 certificated and Certified Angel Card Reader. Andrea has a BA in psychology and has been working with people for over 15 years in the social services field before making to jump to life coaching. Andrea completed her coach training with The Inspired Spirit Coaching Academy, Australia (ISCA) in 2013. Andrea is very passionate about empowering others by using tools such as the Law of Attraction, NLP, Emotional Freedom Technique or taking her clients through one of her many programs or workshops designed to empower.